Kerry captain Bryan Sheehan is congratulated by supporters after the 2016 Munster SFC final victory over Tipperary at Fitzgerald Stadium, Killarney. 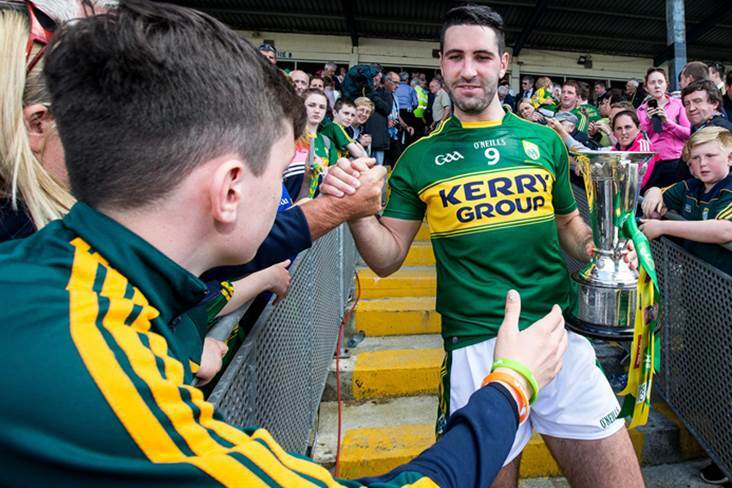 Former star Bryan Sheehan isn’t confident that Peter Keane can deliver success to Kerry but adds that the county’s supporters will have to be “very patient”. Keane and his backroom team have plenty of raw material to work with following the Kingdom’s MFC five in-a-row but Sheehan points out that the squad lacks experience following a raft of retirements since their failure to negotiate the Super 8s this summer. “There are big changes in Kerry football and people need to be very patient,” he told the Irish Sun. “The big thing is to give these players time to develop.